You must make bookings at least 5 minutes in advance of the time at La Maison. La Maison is a transformed French Cafe based in Dublin's South City Centre. 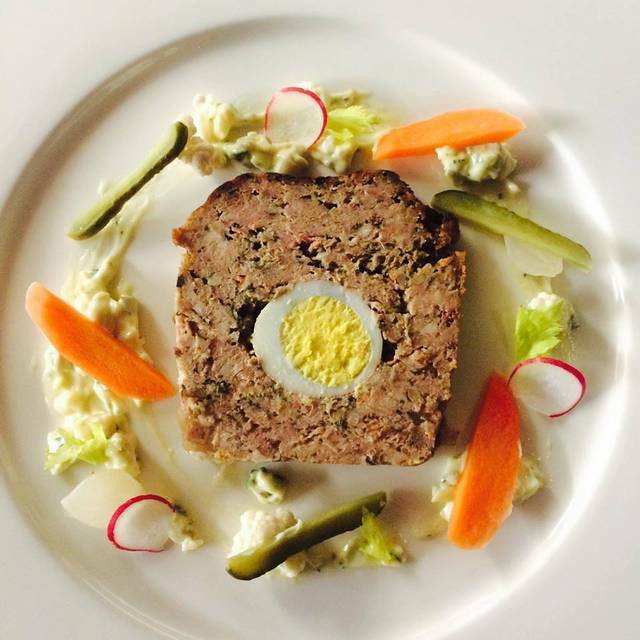 Chef Olivier Quenet starts the traditional Parisian style of his restaurant with his art. The pieces on show in the restaurant range from Leonetto Cappiello to Diable Vent, and are all authentic pieces sourced in Paris. The restaurant itself overlooks the bustling Castle Market in the center of Dublin. 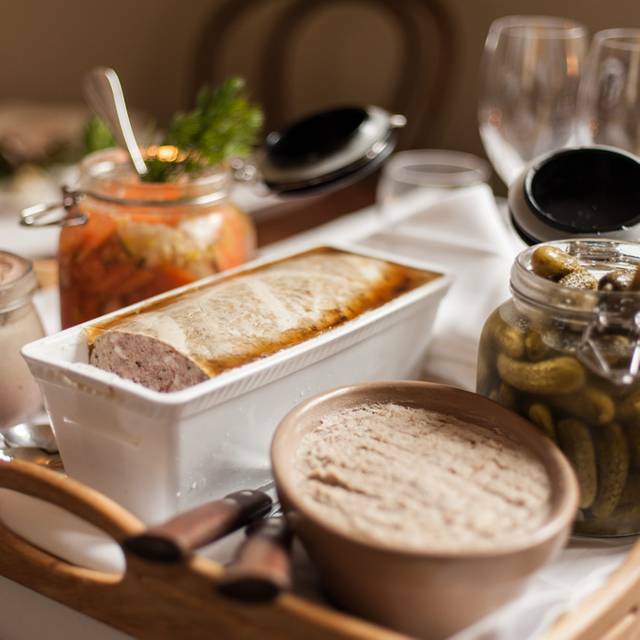 Diners can enjoy traditional French dishes, such as French onion soup or Traditional Beef and Ham 'Pot au Feu'. Authentic, excellent experience, looked after by professional staff. 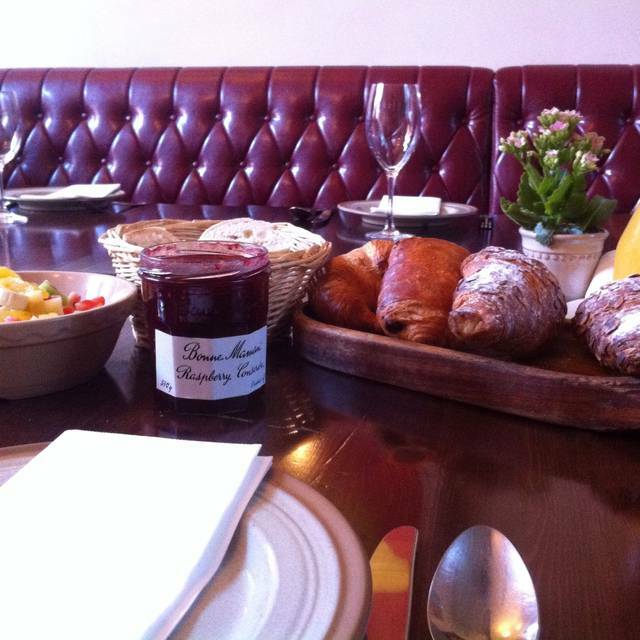 I haven’t been to La Maison for a while but I won’t wait so long to return again. Really delicious food and super service. The food was amazing. Staff was very friendly and attentive. We had a great evening here! Food was excellent here. Would definitely recommend it. Everybody eat everything and the vanilla crème brûlée for desert was superb. We had the rib of beef to share - it was huge and amazing! Lovely restaurant, great friendly service. It was very quiet. As always, La Maison doesn't let you down, beautiful food, attentive staff, and reasonable cost for a unexpected Thursday evening out. We had a fantastic meal and are already looking forward to returning. I'd highly recommend it. Love this restaurant. Amazing value for money. Perfect little French restaurant. Beautiful French ambiance. Always amazing service from totally professional team. Great service, food and ambiance at a very busy time. Fantastic food, very flavoursome. Very filling starters - pate platter was very impressive. Excellent service, friendly and helpful - offered to let us taste two wines so we could choose which one we preferred. Two small rooms. We were near a large party which got a bit loud ( just normal banter and chat) which wasn’t ideal but impossible to control. Super restaurant. My favourite restaurant for dinner with one or two others has become my favourite for a group lunch. Eight of us had a wonderful pre-Christmas lunch here - great onion soup, mussels, pates and jurancon! I was there for my team Christmas party, seven of us, on December 6. Excellent, in every way. Great service, great food. Thumbs up from everybody around the table. Overall good. We had booked an early table do we had plenty of time before the required vacation of 8.30. The staff hovered around the table a lot, to the point of irritation and hence the service felt rushed. 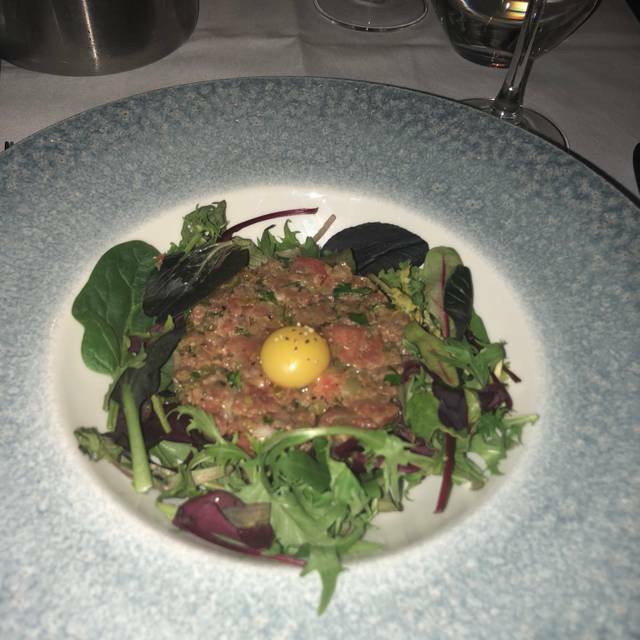 When I travel to Dublin, I always make sure to dine at La Maison. The quality of food, the ambiance, and excellent service make it a special place. 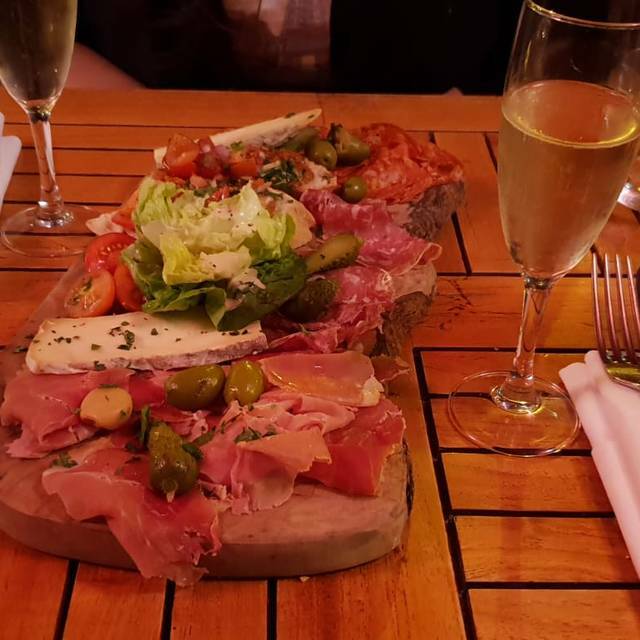 Really nice French food with good value pre-theatre menu. Alas we didn’t get to try the wine as we were all driving. Absolutely delicious little French restaurant in Dublin. Well located. Great service and amazing food. La Maison’s menu is typical bistro – 6-8 starters and 8-10 entrees. 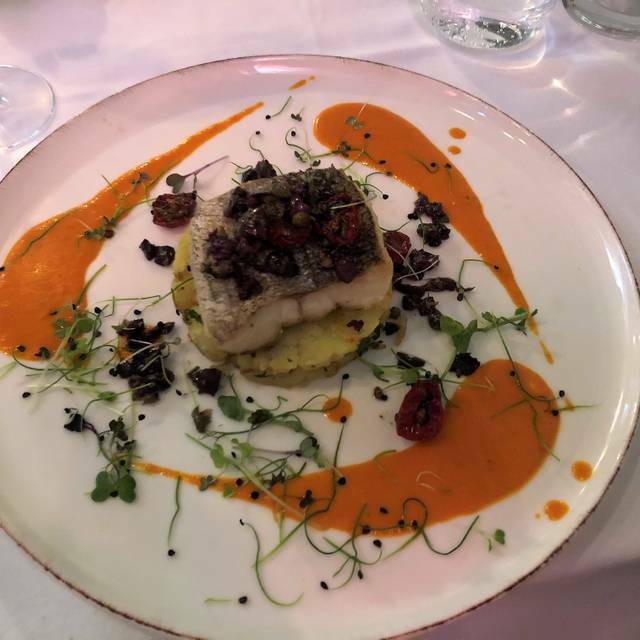 Being a fan of pate, I ordered the selection of pates to start and thee fish special, which was hake served over potatoes with olives and a bit of tomato sauce. The waiter brought some bread and sauce persilade and my nice glass of rose. Next he brought a tray with 5 different pates and asked which ones I wanted. Of course, I said, “All.” He then proceeded slice and plate my dish to the delight of all watching. Delicious. The fish was superb. It was perfectly cooked, as were the potatoes. The addition of the chopped olives and the hint of tomato gave the dish a Provencal touch. I had no room for dessert, but I enjoyed a lovely glass of dessert wine. I enjoyed my meal so much, I returned the following evening. This time I reversed the courses – I had the fish first and the meat second. To start, I had the scallops cooked in their shells with white wine and butter. How can something so simple be so delicious? I once heard on a food show that it has to do with the heat of a commercial oven, something home cooks can approximate, but rarely duplicate. With that, I drank a Cotes de Gascone white. At my waiter’s suggestion, I ordered the duck breast, almond crust with carrot puree, polenta and orange sauce. He was definitely spot on. It was perfection. Again, at his suggestion, a Cotes du Rhone, which was great. I opted for the crème brulee for dessert and was offerd a nice glass of Calvados by the house. This is the way all restaurant dining should be. The food and the service were awesome, but I got a problem on my reservation... when I arrived there with my wife, the reservation was not found (even if with 2 messages confirming my book on my phone) and there was no tables inside ( a "rock show" was going on the street, so it was very uncomfortable for us). La Maison was excellent. Our group of 6 thoroughly enjoyed everything. The Dover sole that several of us had was awesome. Service was excellent. Two thumbs up! 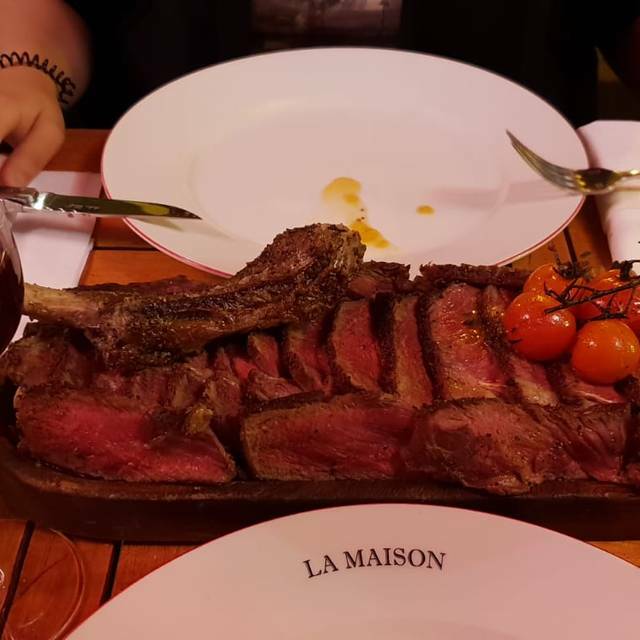 One of the virtues of La Maison is that is is open for a meal all day, in a city where many restaurant kitchens are closed between lunch and dinner. We wanted a good meal on a weekday at 3:45 in the afternoon, and that is what we got. And it was fine. The food was nicely presented, and there were pleasing touches, like gluten free bread, and a mouthful of mouth-watering sorbet to cleanse the palette. We chose from the early bird menu, three courses each (for three people), a half-litre of wine, and two coffees, came to around 125 euro including tip, and we sat around for ages, without being hassled, which was lovely. One quibble was that they would not seat us upstairs, which is nicer than the dark interior downstairs, (there is also an option to eat outside in front of the restaurant) but I do not blame them, as the restaurant was almost empty at that hour. It was a good dining experience without being a great one, and I will certainly go back. Great French meal in Dublin The fish and lamb chops were delicious. We had a wonderful dinner from start to finish. Service was excellent. Truly an excellent meal. The food was worthy of a Michelin starred restaurant. The value is excellent. Dinner for four with dessert and two glasses of wine came was just under $200. I can't recall ever having better prepared duck breast which was cooked to absolute perfection. The sauce and flavored potato puree that accompanied the duck were exquisite. The others in our party had a fish dishes that were equally excellent. The escargot appetizers came with 12 snails and were excellent. The venue is cute and we ate outside in an enclosed sidewalk setting. Fun but not super fancy. We had a really great time, the food was delicious and we were v well looked after. The pate was amazing. The service was great as was the wine and food. We took American friends out and we were delighted with this restaurant. I love this place. It delivers every time. Wonderful food and amazing servers. 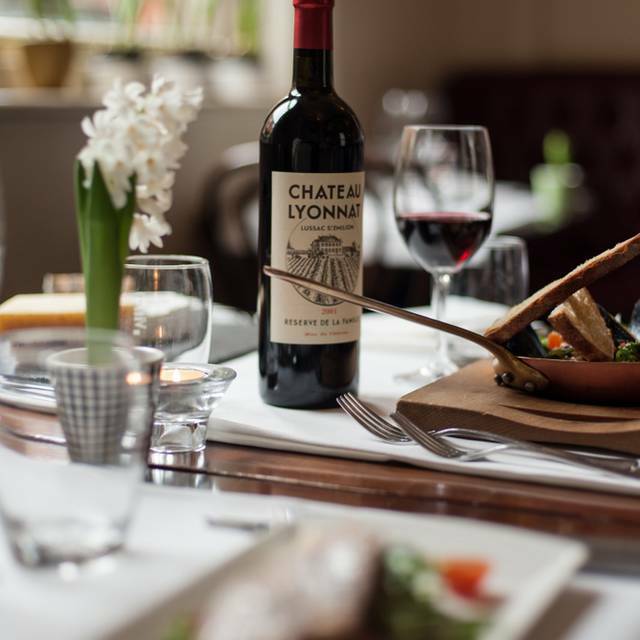 Classic french dishes executed superbly, strong wine list and excellent service. What a lovely French oasis in Dublin - delicious and imaginative food, good wine and friendly service. Our starters (confit quail salad) were tasty and attractive. Mains (moules/frites, coq au vin and sea bream) were very much as they should be - and delicious. 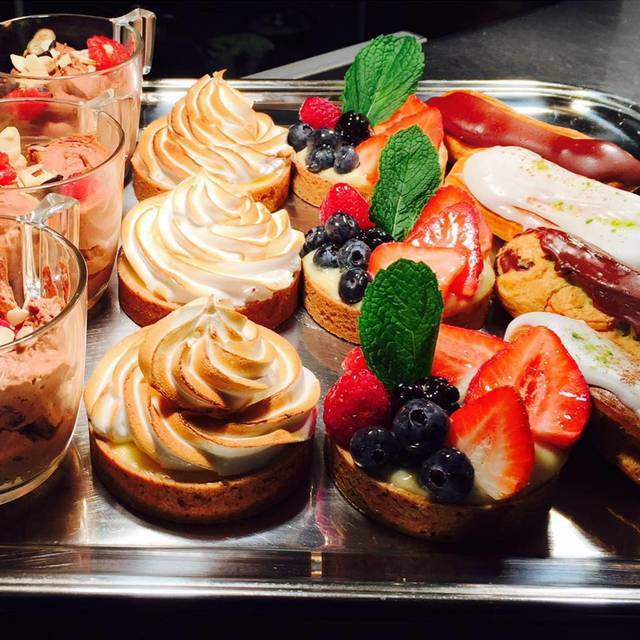 Desserts came from a classic French menu - Iles Flottant, Tarte au Citron Meringue and Vacherin Glace and were delicious. The wine list is extensive and French - but not prohibitively expensive - we had a house red that was quite palatable. Service was friendly and amusing. There was live music upstairs (not intrusive); we would happily go back for more - plenty of other things we'd love to try.